The humanitarian organization ranks the biggest companies in the world, taking into consideration ethical concerns like environmentalism, worker treatment, and corporate transparency. Ever wondered who makes your favorite breakfast cereal, and if it’s ethically produced? As part of OXFAM‘s GROW Campaign, the humanitarian organization has put together a scorecard by which to judge the ethical standards of food production giants around the world. 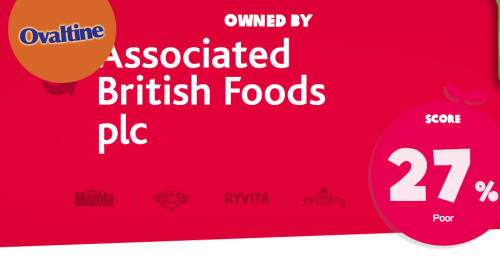 Behind the Brands attempts to hold the “Big 10″ accountable; that is, Nestle, Unilever, Mondelez, Coca-Cola, Mars, Danone, Associated British Foods (ABF), General Mills, and Kellogg. 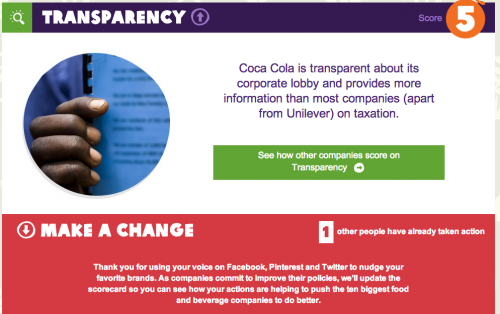 Behind the Brands judges companies on an ethical scorecard. It’s made up of categories like corporate transparency, sustainable use of both land and water, environmentalism, and treatment of women. The campaign does not address nutrition, according to the website. 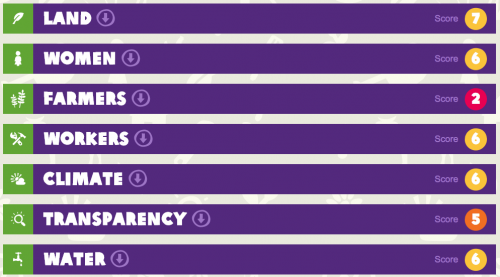 Scroll down to see how your favorite brands rank. Why? “Still at the top of the scorecard, but only just, Nestle leads the way on climate change and water usage, worker rights (equal first) and is most transparent. Nestle’s commitment to support women in its supply chains will go a long way to making a difference for women. Why? “Improved on gender, climate and land, ABF has moved off last place. Yet ABF continues to score relatively low overall for assessing impact on producers, communities and the planet. Bottom of the pile for water and scoring poorly on supporting women and farmers, ABF still needs to improve on a number of issues.